Indie studio A24 took home five awards. Ethan Hawke won the best actor award for First Reformed. Gotham Awards 2018, held at Cipriani Wall Street, kicks off the awards season that will culminate with the Oscars next year. Gotham Awards 2018 were dominated by A24, an indie studio that has produced Oscar-winning films like Moonlight, Variety reported. The studio took home five awards. The award show, held at Cipriani Wall Street, kicks off the awards season that will culminate with the Oscars next year. A24’s First Reformed got two awards — best actor for Ethan Hawke and best screenplay for Paul Schrader. Another A24 production, Eighth Grade also got two awards — Elsie Fisher for a breakthrough actor and Bo Burnham for breakthrough director award. Toni Collette won the best actress award for Hereditary. 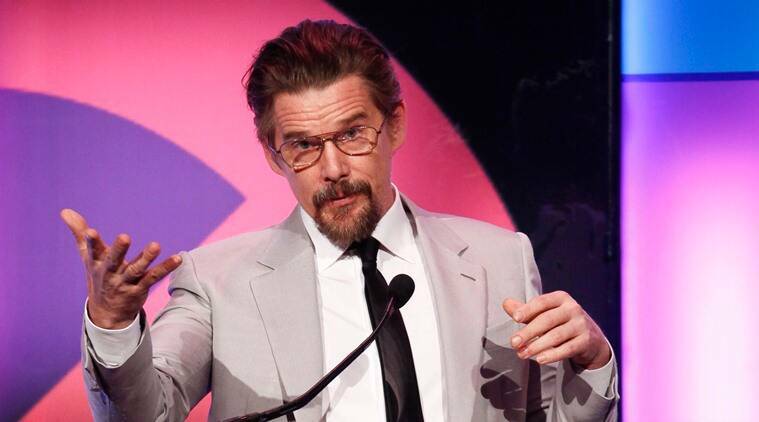 While on the podium, Ethan Hawke said, “We are living in a time void of political and spiritual leadership and in that kind of time period, a heavy burden falls to the arts…because the people in this room and elsewhere can go where we can transcend minds and open hearts that are normally closed. 1 Bhaiaji Superhit box office collection Day 4: Will Sunny Deol's film survive the weekday test?